Candidate for prime minister Benny Gantz has proudly made his military record as a former IDF chief of staff a main theme of his campaign but continues to be shy about political matters. He would not confirm or deny about voting for Likud but said “the Center is a wide concept” for him. He said he never voted for Yesh Atid. Gantz predicted that he would win the election and form the next government, and he intends to invite religious and chareidi parties to join his coalition. He indirectly ruled out Arab parties. “I do not rule out anyone who is Zionist,” he said, intimating that the anti-Zionist Joint List and Ta’al would be unwelcome. On the other hand, Gantz said he would not form a bloc with Arab parties to prevent Mr. Netanyahu from forming a government. The Likud released a statement misquoting Gantz and implying that he would sit in a government with Arab parties, according to The Jerusalem Post. “What more proof is needed that the election is between a left-wing government led by Gantz and a right-wing government led by Netanyahu?” the Likud said in the statement. 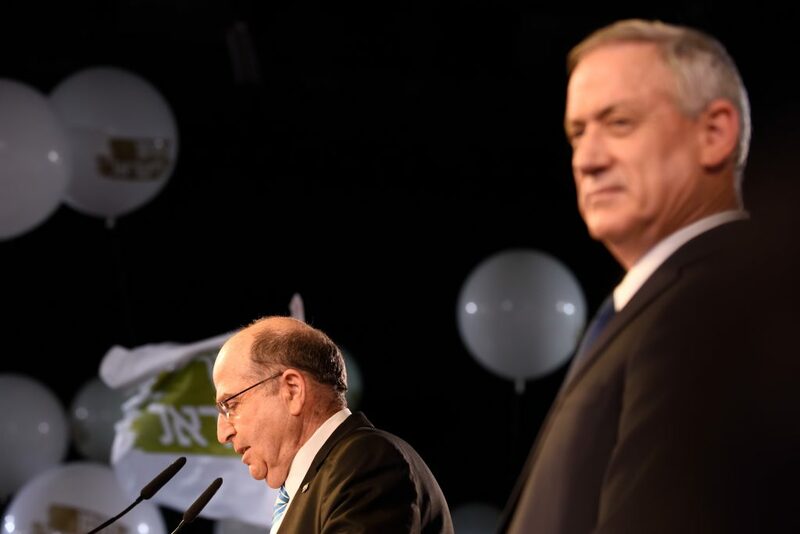 Fending off attacks on Gantz from the right, former Netanyahu cabinet secretary Zvi Hauser, who is running with Gantz, asserted that his views are not much different from Mr. Netanyahu’s. Journalist Yoaz Hendel, also a member of Gantz’s party, said on Channel 13, in his first interview since entering politics, that there is no two-state solution. In response, Meretz released a statement accusing the Israel Resilience Party of being right-wing.